A balanced force. An efficient hydraulic system fitted to all extension booms controls their exit order.  As a result, the first extensions to come out are those sized for higher capacities and the next ones are suitable for lower capacities. The crane performance diagram is thus optimized. A step further. Effer uses high strength Weldox steel for the crane structure. This choice improves structure resistance while keeping the same thickness and allows the most advanced construction solutions. Everything under control. Effer uses PROENGINEERING and ANSYS software to calculate finite elements (FEM) during its design process. 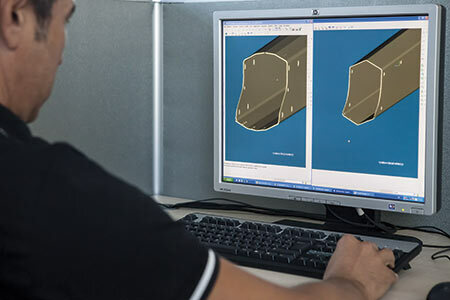 These software combined with many years of experience allow Effer to produce structures which balance perfectly maximum performance, minimum weight and operational safety. The right thickness where needed. Effer manufactures its cranes optimizing the thickness of sheets in each point of the structure. This choice requires a great deal of effort be put into the design and construction, but it allows the crane weight to be reduced sensibly. Innovation at work. 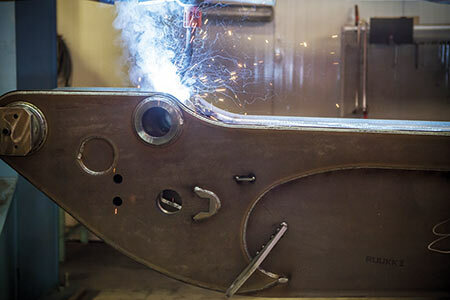 Effer’s 50-year know-how in the segment of high strength material welding allows very complex processing to be carried out – even in the production of small and medium range cranes. Beyond the standard. 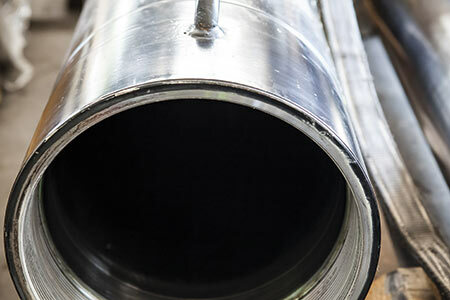 Effer uses special materials with higher specifications compared to the common materials available on the market to manufacture its hydraulic cylinders. 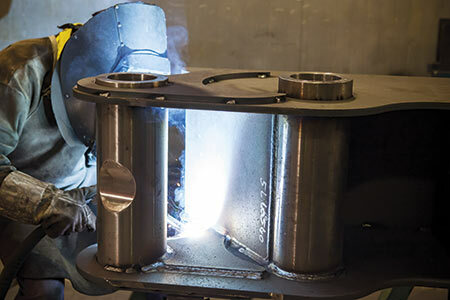 In this way, high working pressures can be used reducing the thickness and weight of the cylinder barrel walls. Shape evolution. Effer patented the decagonal boom design for high-medium range cranes. 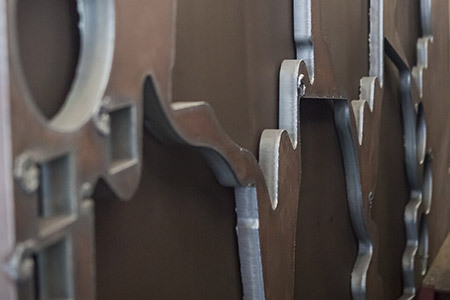 The decagonal section is obtained from a single sheet of folded sheet metal, with a single internal and external robotic welding. 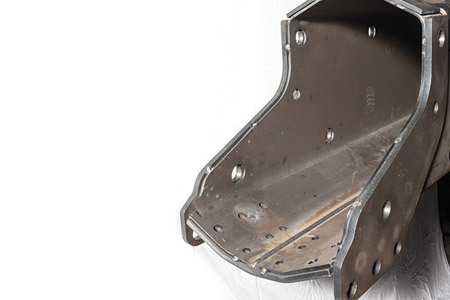 This patent reduces the thickness and weight of sheet metals. A lighter structure allows lifting to be more powerful. 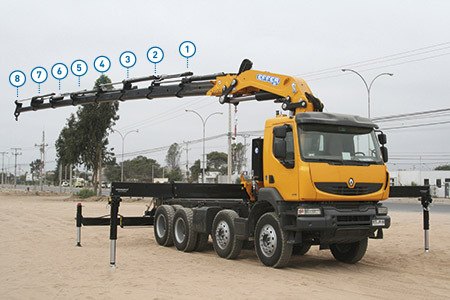 A lighter crane - with the same power - can be mounted onto a lower capacity truck. The light weight of Effer's crane allows for a greater payload capacity on the truck: greater useful load = less time = higher profit.